LAS VEGAS – MINExpo 2016 (Booth 6959) – Victaulic today announced it now offers the latest line of BERMAD hydraulic control and air valve offerings to the North American mining industry. Designed and engineered specifically for mining applications, these durable cost-effective automatic flow control solutions greatly improve supply and distribution system efficiency. 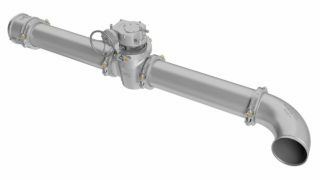 Together, Victaulic and BERMAD leverage their strengths to offer world-class control valve technology, engineering leadership and a broad distribution network. BERMAD’s line of high-performance control valves and application engineering leadership are a natural complement to Victaulic’s innovative fluid control and pipe joining solutions, as well as its sales, distribution and customer service excellence. Sold and serviced by Victaulic, customers can count on Victaulic’s reliability and service excellence and the engineering expertise of BERMAD control valves. Engineers work with customers to determine their needs and collaborate to design integrated valve solutions tailored for the specific operating conditions and production goals of their mining operation. From the design stage to post-installation, customers will have access to industry-leading technical support to ensure optimal valve performance and system efficiency throughout the lifetime of the product. These durable fully-customizable valves, built for the toughest of applications, provide high flow capacity with minimal pressure loss and are an excellent choice for pressure/flow control and pump protection applications. Designed specifically for mining applications with heavy-duty accessories these valves are made to withstand the highest corrosive environments, providing the durability and reliability the mining market requires. Model 100: The “Y” valve body design offers a Flexible Super Travel (FST) diaphragm and guided plug to provide a significantly enhanced “look through” passage from end-to-end resulting in ultra-high flow capacity with minimal pressure loss. Model 700: Also designed with the “Y” pattern valve body, the 700 valve family offers optional and customizable trim configurations to provide functionality without external power, and up to 15 percent better flow capacity than standard globe valves. Model 800: The high-pressure brother valve of Model 700, provides all the benefits of our 700 valve family for high-pressure applications up to 600 PSI. These high-quality air valves combine the function of an air release valve, which allows efficient release of air pockets and bubbles from pressurized pipes, with the function of an air/vacuum valve to evacuate air during pipeline filling to enable large volume air intake. With their advanced aerodynamic design, double orifice and anti-slam/slow closing device, these combination air valves provide excellent protection against air accumulation, vacuum formation and pressure surges. Ideal for water and leaching applications, these combination air valves help reduce overall energy costs by improving pump system performance through efficient pipeline filling, draining and operating. Model C50: Specially designed for non-clean solution applications, such as leaching and slurry lines, the C50 is available in a variety of body material options, including glass reinforced nylon, stainless steel, and polypropylene. Model C70: Designed for clean solution applications, the C70 is available in a variety of body material options, including ductile iron and stainless steel. BERMAD’s corporate offices and warehouse distribution center are in Houston, Texas, as well as their state-of-the-art manufacturing, assembly, and testing facilities. Maintaining a single-source facility with design engineering, project management, manufacturing and support services under one roof allows BERMAD to guarantee maximum quality control and ensures the needs of customers are quickly met. 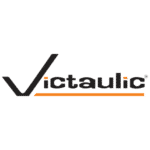 If you are at MINExpo 2016, be sure to stop by the Victaulic booth, #6959, to see hands-on product demonstrations and learn more about its comprehensive line of products and solutions. 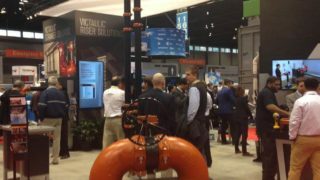 Follow Victaulic on Facebook, Instagram, LinkedIn and Twitter, for live updates from the show floor and recaps of the exposition.